We see travel not just as an opportunity to see and experience something new, but as an opportunity and responsibility to share our experiences of the different places, people, culture, food and adventures we’ve experienced with the world. 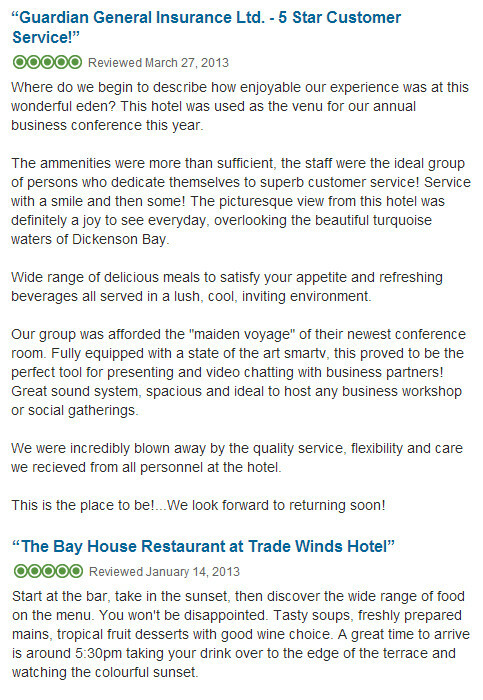 Trade Winds Hotel and Bay House Restaurant & Bar are very honoured by the many people who chose to share their experiences with us on TripAdvisor. We are delighted to announce that we have been awarded with TripAdvisor’s “2013 Certificate of Excellence” for both our Hotel and Restaurant. THANK YOU! We always strive to offer our customers a memorable experience and this accolade is evidence that our hard work is translating into positive reviews on TripAdvisor. This accomplishment would not have been possible without the dedication and support from our wonderful staff who ensures that our guests always lie back and relax while on vacation or that their dining experience at Bay House Restaurant is an exquisite culinary journey. We also cannot overlook their unsurpassed commitment catering to every need and requirement on special events and conferences. THANK YOU! With this accolade we promise to continue to provide excellent hospitality and to grow and improve in the years to come so that your stay with us is always memorable. We’ve already begun on fulfilling our promise with Bay House Restaurant now offering our very own unique blend of coffee…roasted right here in Antigua by Carib Bean Coffee Co. Additional improvements included complete renovation of the Restaurant’s bathrooms and continuing upgrade of our rooms. We also now boast two state-of-the-art multimedia conference/events facilities with the best technology. 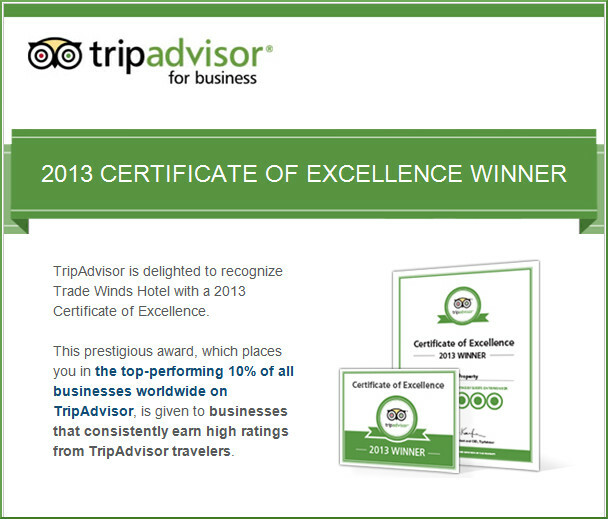 Thank you again our valued guests, clients, staff and friends…we are humbled by your appreciation and loyalty. See you again soon…HAPPY TRAVELS!